Shed Antler Tracking is a Great Sport that just about any Dog can do. Visit Our Blog Postings Here! Shed hunting is a great way to extend your time in the field and get the family out of the house and into the woods after a long winter, just as the Bucks start to loose their antlers! 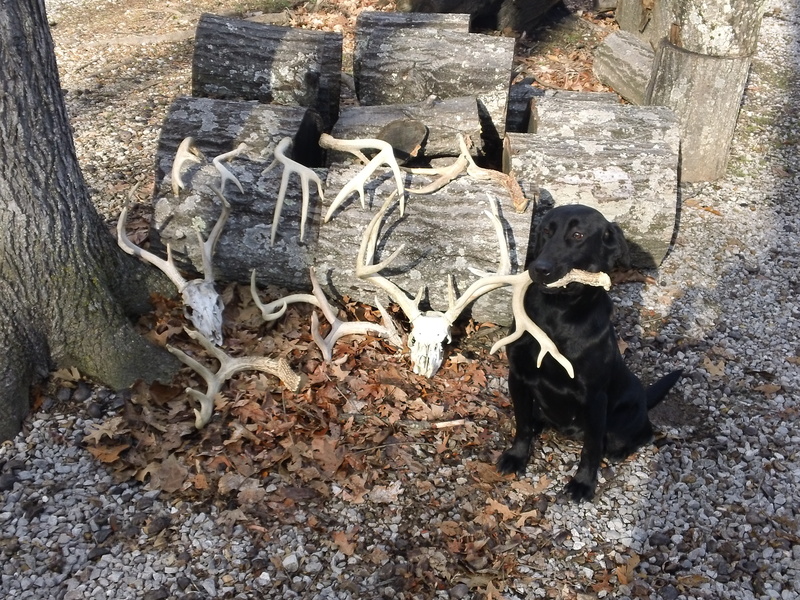 With a little work, any dog that loves to retrieve can be taught to hunt shed antlers. We can help you get your dog ready for the spring shed hunting season…call for details! Starting with obedience, then adding Scent, Tracking and Retrieving drills, we help form you dog into a antler tracking partner that you will enjoy in the woods for years to come.